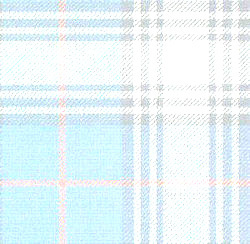 I have some Kinnaird Tartan for sale. To make a kilt it takes between 6-8m ...depending on size of pleats & setts. Kinnaird Worldwide has been established to assist in bringing together all those with the name of Kinnaird, Kinnard, Kinard, Kynnaird (and other derivatives of the name) or those who have connections with others of this name. The goal is to try and connect the ancestors of Kinnaird families, who are scattered around the globe. With the help of Clan Kinnaird USA & Canada, we should be able to create one big global family. Clan Kinnaird USA & Canada will assist in building the North American families. Kinnaird Worldwide will assist in building all non-North American families. The information given will be checked against that already received from families around the world. Information that ties in to an existing family tree will be available for viewing in Family Information. Please be aware that some of the information may be inaccurate. This can be corrected with your input. Please let me have your family history and any other information which may assist us to get a better picture of the Kinnaird origins. Note: Link to Kinnaird Worldwide menu (some web search engines find only the main homepage and bypass the menu. If you already have the menu displayed across the top of this page, you're OK).